Orlando Pride v. North Carolina Courage preview: who will come out on top? Orlando Pride vs North Carolina Courage preview: Will Orlando beat the #1 ranked team? 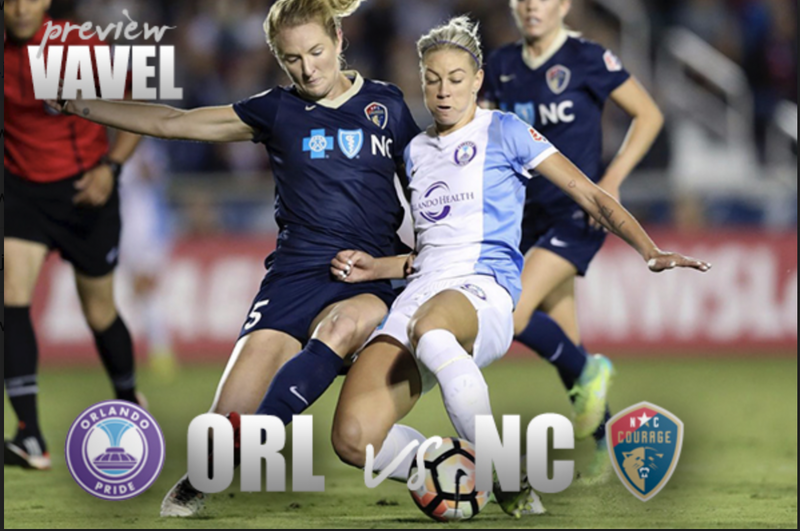 The Orlando Pride will face off with the North Carolina Courage this Saturday in LifeTime's NWSL Game of the Week. The top two teams in the NWSL League will face off in the Orlando City Stadium this Saturday. The North Carolina Courage is currently ranked first with 33 points, while the Orlando Pride is ranked second with 22 points. On Wednesday night, the Orlando Pride suffered a loss in their game against the Houston Dash. Although the Pride started off strong with a goal in the first half, the Dash pulled through with two unanswered goals late in the second half. 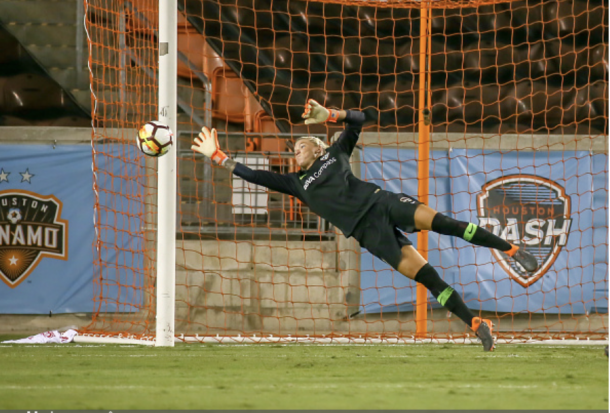 Jane Campbell, the goalkeeper for the Dash, performed 5 crucial saves that helped keep the Dash in the game throughout the first half. The game gave Orlando a 6-6-4 record and their second place standing in the NWSL. The Courage still holds an impressive record of 10-1-3 after their streak of 13 undefeated games. Unfortunately for the Courage, this streak was ended after a mid-season loss to the Utah Royals. 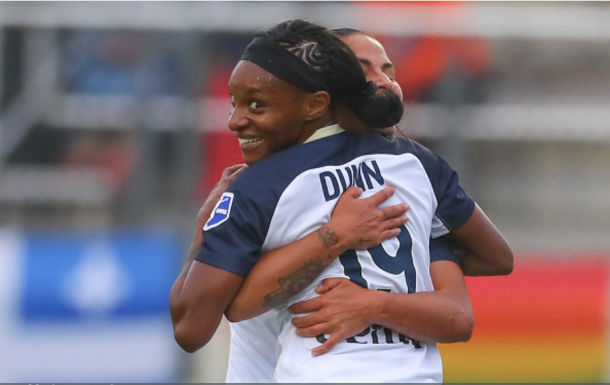 Crystal Dunn led the Courage to a 4-1 victory over the Seattle Reign last Saturday after she scored two goals throughout the game. The Reign’s Megan Oyster scored the first goal in the 18th minute off of a corner kick. Lynn Williams gave no mercy to the Reign and scored the Courage’s first goal in the 27th minute. The goal was promptly followed by a goal by Dunn in the 33rd minute, allowing for the Courage to take control of the game before the end of the first half. The Courage didn't stop there, Merritt Mathias and Crystal Dunn both scored goals in the second half to secure a win. Following their previous tactics, the Pride will likely try to score early on and follow with strong defense throughout the remainder of the game. The Courage is known to make significant comebacks after their opponent scores, so the Pride will need to cease the lead early on in order to avoid having to catch up later. The Courage has a slight advantage over the Pride since they had a week-long break between games, while the Pride faced off with the Dash only three days prior to their game with the Courage. Both teams are rich with skill players that could give either team the edge against the other. If Orlando does manage to win against the Courage, they would have a total of 25 points and the Courage’s lead would reduce to 8 points. As a result of their previous records, both teams have something to prove which should make for an interesting match. Tune in this Saturday at 3:30 EST on LifeTime to find out which team will be victorious.